The String Academy of Wisconsin at UWM is pleased to announce the hiring of Stefan Kartman as its newest cello faculty. 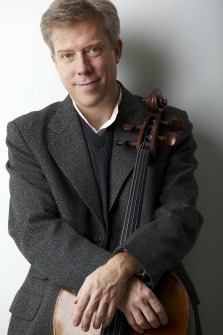 Stefan Kartman is currently Professor of Cello and Chamber Music at the University of Wisconsin – Milwaukee. In addition to solo performance, he has performed to critical acclaim as cellist of the Kneisel Trio and the Florestan Duo. He has given performances and masterclasses in conservatories and schools of music worldwide including the Cleveland Institute of Music (USA), the Xiamen Conservatory of Music (China), and the D’Albaco Conservatory of Music (Italy), among many others. An avid chamber music enthusiast, Dr. Kartman has served on the faculties of the Alfred University Summer Chamber Music Institute, the Mid America Chamber Music Festival, the Troy Youth Chamber Music Institute, the Green Mountain Chamber Music Festival, and was artistic director of the Milwaukee Chamber Music Festival. His early training in chamber music was with his father, Myron Kartman, of the Antioch String Quartet and during his formal training as a chamber musician, he studied with members of the Guarneri and Juilliard String Quartets and the Beaux Arts Trio. Stefan Kartman received degrees from Northwestern University, The Juilliard School of Music, and his doctorate from Rutgers University. He has been teaching assistant to Harvey Shapiro and Zara Nelsova of the Juilliard School and proudly acknowledges the pedagogical heritage of his teachers Shapiro, Nelsova, Bernard Greenhouse, Alan Harris, and Anthony Cooke.